Angela Aiello was one of the first people to support my wine writing passion. 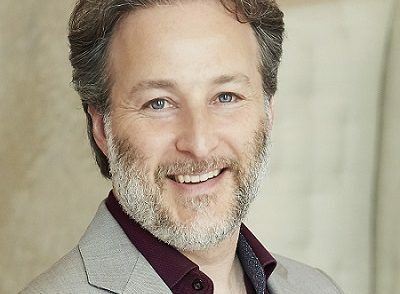 When others looked at this newbie, who was far from a sommelier and learning about wine through trial and oh-so-much error, there wasn’t a ton of support. Angela, though, welcomed me with open arms, and I spent many a night in the iYellow Wine Cave tasting, talking and learning. She introduced me to winemakers, invited me to lunch with the Mandela family and generally invested her time and energy into making me feel like an accepted part of the Canadian wine writing family. 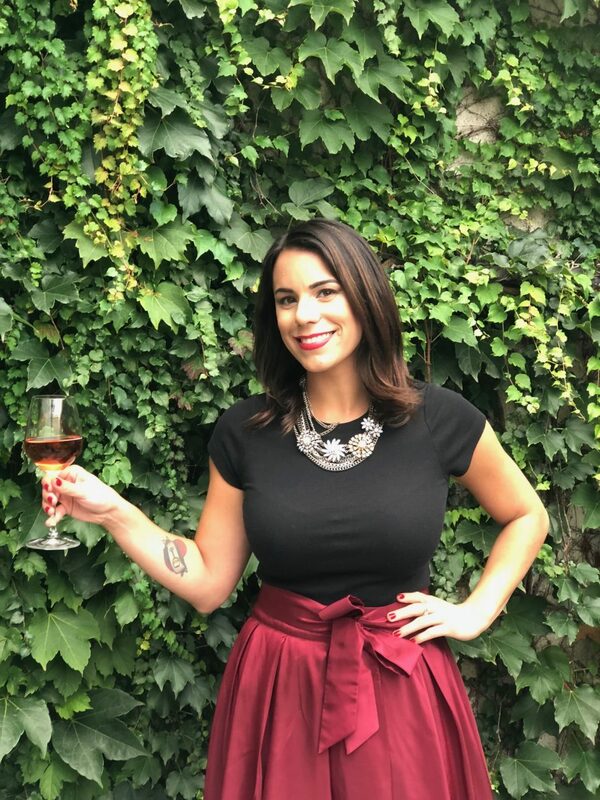 I hope all young wine writers find someone like her to champion them as they start out in their careers. 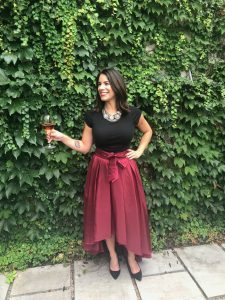 Now embarking on her own career change, I wanted to share some of the exciting things Angela has on the horizon now that the Wine Cave has closed and her wine life has taken her in new and exciting directions. There have been lots of changes to iYellow in the last year – can you catch us up and tell us about the exciting changes in your life? Wow, what a year it has been! 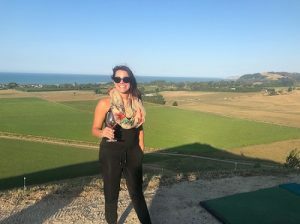 In the last year, I spent a month in South Africa learning how to make wine, merged with a media company to help elevate my career and spent two weeks in New Zealand learning all about the various regions of New Zealand. It’s been a pretty crazy year. After 12 years of forming iYellow Wine Club and 5 years of hosting classes and events in the Wine Cave, we had to close the Wine Cave. It was such a sad time because many of us put so much time and effort into the space. Rent became so expensive in Toronto and the costs of running a business can be quite high. So I decided to pivot what we are doing and am currently re-developing a strategy to stay fresh, and keep things exciting. I think that by the spring we will have a new set of ideas into how to bring our community to life. So stay tuned! Wine travel is still a big part of what you do – what are some of your favourite recent trips? My most favourite recent trip was to New Zealand this past February where I was able to taste close to 1,000 wines and visited the regions of Hawke’s Bay, Gisbourne, Malborough, Martinborough, Central Otago. New Zealand is a magical and wonderous country that makes really amazing wines. What inspires you to continue to work in wine? You know, that is a great question. I know that wine is really the most wonderful industry of all! And all of us that work in it work really hard, but we put in our passion and creativity into all that we do. I really don’t know if there is anything else I could see myself doing! To be inspired I often travel to wide open spaces and find a way to get close to nature so I can live in the big city. When so much of your brand, is you as a person, you need to find the time to get away and re-balance to be the best at your job and for the people around you. You have been a big proponent for women supporting women in wine and in business – why is this important to you? Honestly, I could go into a little feminist rant here, but it’s not about that at all. It’s about people supporting people and women need to support each other more in general. I mean, the wine world needs more alternative voices and stories and it truly needs to be democratized. By that I mean wine needs to be made and marketed to the people who are drinking it and more of the industry needs to listen to people who are living and breathing wine culture every day. I also think that more women just need to support more women especially in an industry that is male dominant. I think overall the working world needs to change its cultural norm. 9-5 is practically dead. We all work from home, from our phones and check emails late at night. In many industries what we work on involves much more of our life than a clock-in clock-out type of environment and management styles. I think more organizational and management philosophy needs to change around work culture, building flexible work environments and actually understanding what people’s talents are and fostering them, rather than trying to fit people into a square job spec. People always ask me what my “go-to” wine is, and I’m sure they ask you too! What do you tell them? My answer to this question is simple. It is always Riesling. I have it tattooed on my arm and it’s always the same. Personally, I find the best bottles of Riesling can be found in either Ontario or Germany and the best thing is they don’t cost a lot to be tasty. What are you most excited about for 2019 and beyond? At the moment I feel like I am carving a new path for myself and that is what is truly exciting. Mostly I’m looking forward to the next phase of my book, I’ve almost finished writing it, but am in the process of trying to find a publisher and make my next move. A huge thanks to Angela for sharing her story. 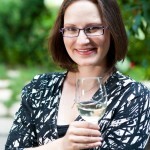 You can find out more about her and her ongoing work in wine at AngelaAiello.ca.